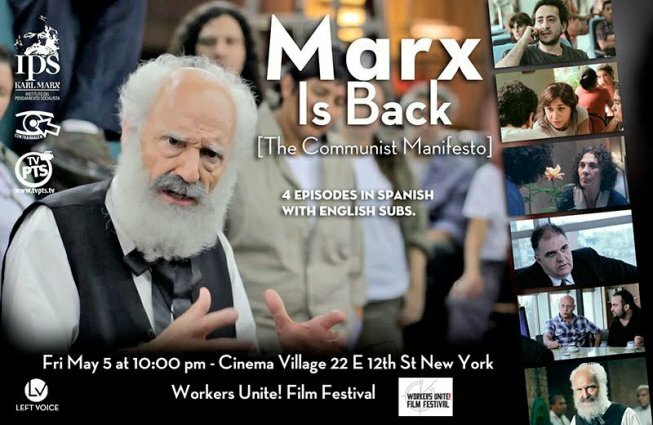 The fictional show “Marx is Back” produced by the of Argentine filmmakers collective, Contraimagen, was shown as part of the Workers Unite Film Festival in New York. On May 5, Marx’s birthday, I was attending the Radical Film Network Conference, located two blocks from Times Square, where billboards scream of capitalist profits. The conference brought together directors from around the world to showcase films that critique the powers that be. 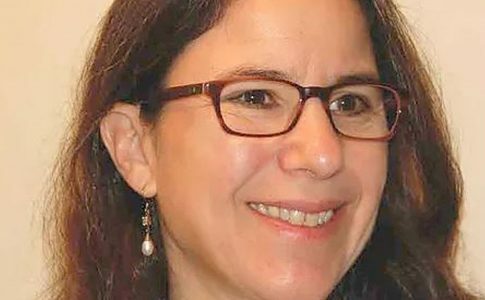 Contraimagen, the Argentine film group, is among those invited to participate. The group, which was created in the late 90’s, seeks to make Marxist ideas accessible to the public using film and other media. 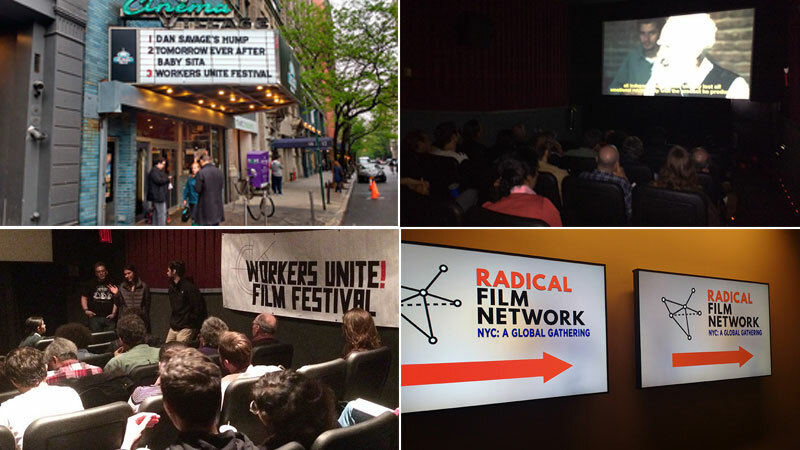 The Radical Film Network conference was organized by Mike Wayne and Steve Presence, creating an important space for leftist filmmakers to share ideas. The directors at the Conference created films about Black Lives Matter, occupied factories in Europe and the resistance against the Dakota Access Pipeline. The participants discussed the camera as a tool for self defense against police violence and a way to expose the racist nature of the state. Members of Third World Newsreel, formed in the 70’s, spoke about all of the struggles that their cameras captured over the years. Contraimagen presented a talk entitled “Filmmakers of the world unite against racism and capitalism!” During the talk, I presented the first chapter of a five part series: “Marx is Back”. 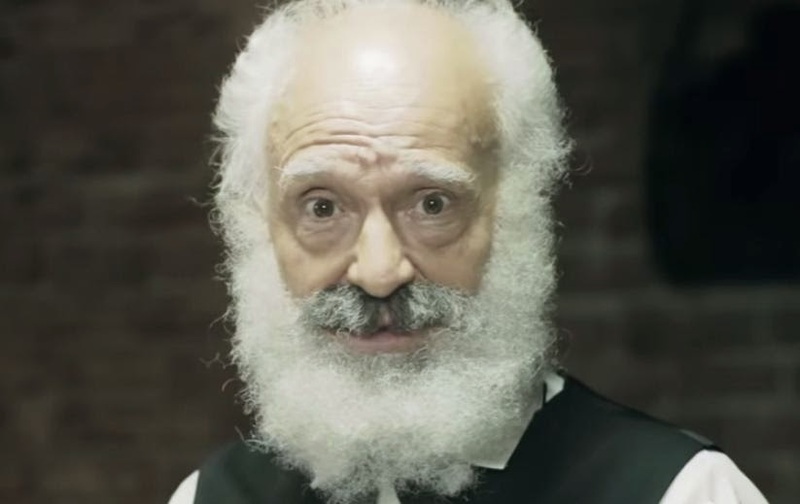 The short film is about a young worker in a printing factory who begins to read the Communist Manifesto. By setting the film in present day Buenos Aires, Contraimagen seeks to connect everyday life to a Marxist understanding of society. 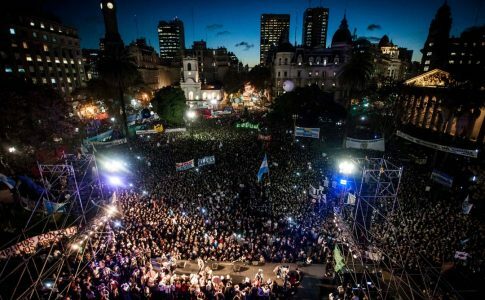 Contraimagen is financed by the militant effort of the Socialist Workers Party (Partido de Trabajadores Socialistas) in Argentina. The group creates commercials for the party’s electoral campaign; the most recent calls for a 6 hour work day to be distributed among all workers- the employed and unemployed. Importantly, they demand that this not result in lower pay. Contraimagen also produces “TV PTS”, a weekly online TV show that discusses workers struggles and important political issues. 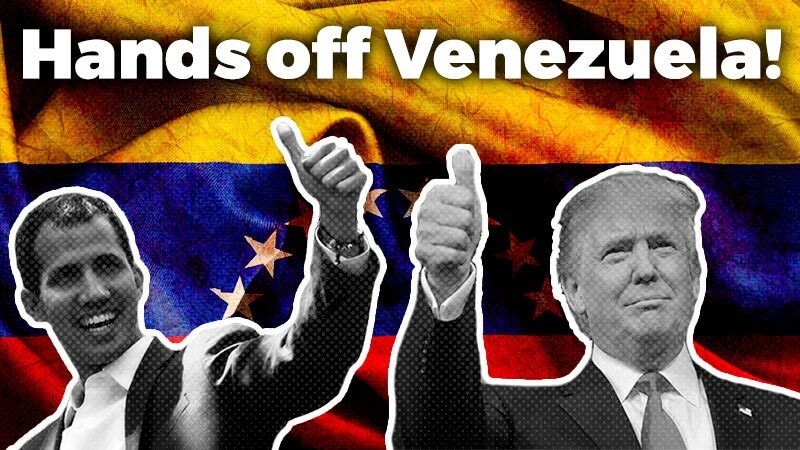 The film collective also created several short documentaries about the Russian Revolution, the Spanish Revolution and about the generation of leftists who fought against the Argentine dictatorship in the 70’s. After the conference, the participants went to the Workers Unite Film Festival in Cinema Village together. The opening film was In Dubious Battle, directed by James Franco. Based on John Steinbeck’s novel, the film is about a 1930’s farm workers movement. Afterwards, the four part series “Marx is Back” was screened, followed by a Q&A. 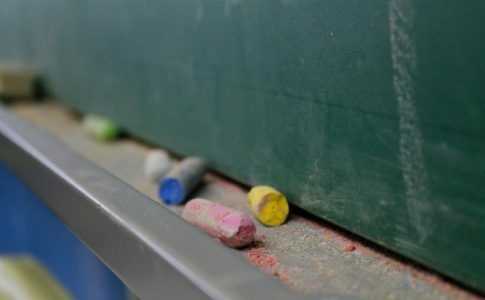 Particularly, the discussion focused on the film as a pedagogical tool and several audience members discussed showing the film in different spaces: labor unions, university classrooms and high schools. 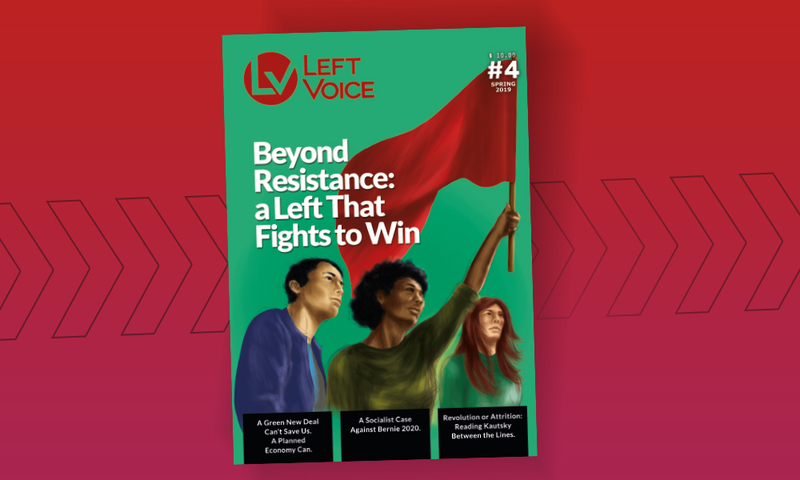 During the Trump era of explicit racism and attacks to the working class, a new American left is forming and socialism is no longer a dirty word. 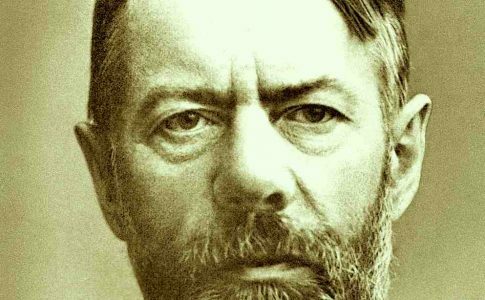 In this context, it is necessary to spread Marxist ideas as a way to strengthen the current movement, moving it in a revolutionary direction that seeks to destroy capitalism.